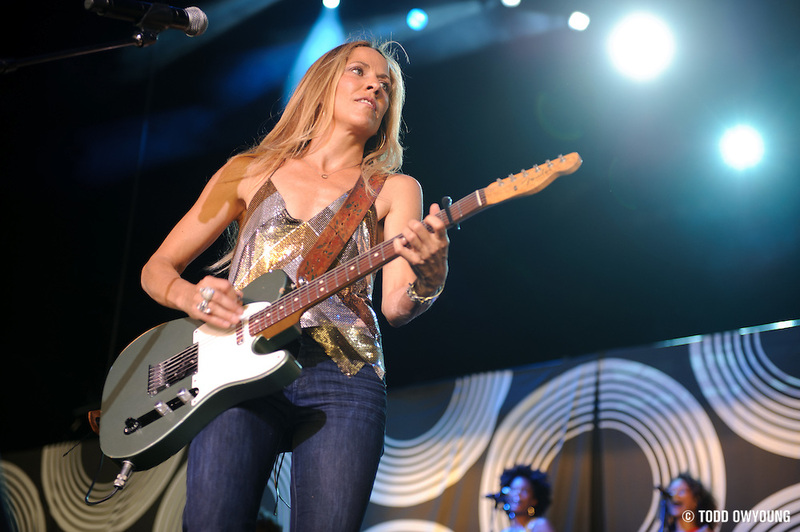 Opening for Kid Rock on the Born Free 2011 tour, Sheryl Crow took the stage just as the sun was setting, which made for a beautiful mix of warm daylight and stage lighting for the singer's set. Pretty straight forward on this shoot – only the half of the photo pit stage left was accessible, due to a small thrust from the stage that split the pit into two sides. A nice mix of spotlights, backlighting, and subtle sunlight shining through the amphitheater created a great looking treatment for Crow. Overall, the Nikon 70-200mm f/2.8 was almost perfect for shooting the entire first three songs.